You're going to have to describe it better than that. like u can automatically see your account and profile info in time you login like punchcard...pls urgently needed. You planning to do it in phpmysql? March 16. And you haven't started it yet? I don't think you're going to make it. Do you have any code to show? I think He'll have to as I can't see you creating this any time soon if you have absolutely no idea where to start. You're probably talking weeks of work here if you haven't got any experience with PHP. If this needs to be in next week, I assume you will be failing your grades. Post any code that you have (PHP not VB) and we'll see how much you have left to do. Just wait a minute. You post a db structure and expect the good people at DW to produce code for you? If you don't 'know codings', why are you taking a course where you have to do coding? Have you thought sbout taking a different course? Just my thoughts about your school. I think programming should be systematic, most importantly if it is being teach in academic environment. Internet is an excellent resources, however the basic foundation of programming should be propagated within the classrooms first, and then external resource can build upon this foundation learned. About your project,,, here are my say about it. For the daily time record. 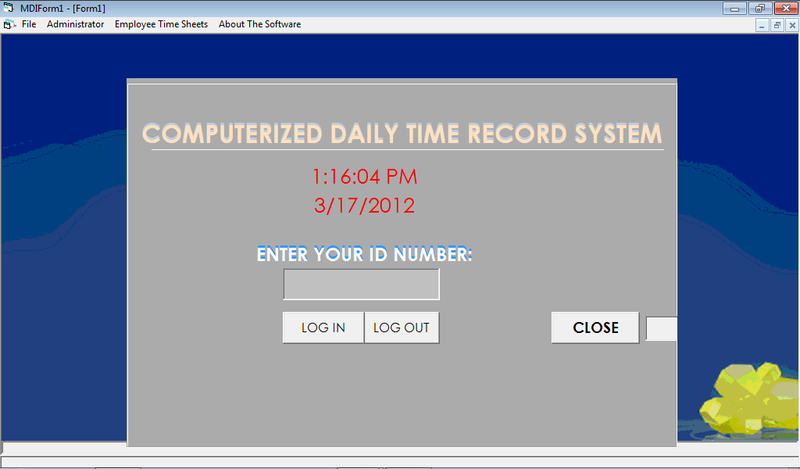 You script should be able to record or capture the time the faculty and staff logged in the time clock system. Hint: time()... and the time logged for the break time, and time out.. you should be able to capture those hours by the same time (). For example, faculty log on into the system --> record the time()--> faculty log out --> faculty log on again for his break time to clock out --> faculty log back on again returning from break--> Faculty log back on again for the end of the day --> end of script. (First hour + second logged in) - (Second Looged in + third logged in) + ( third logged in and final logged out for the day). 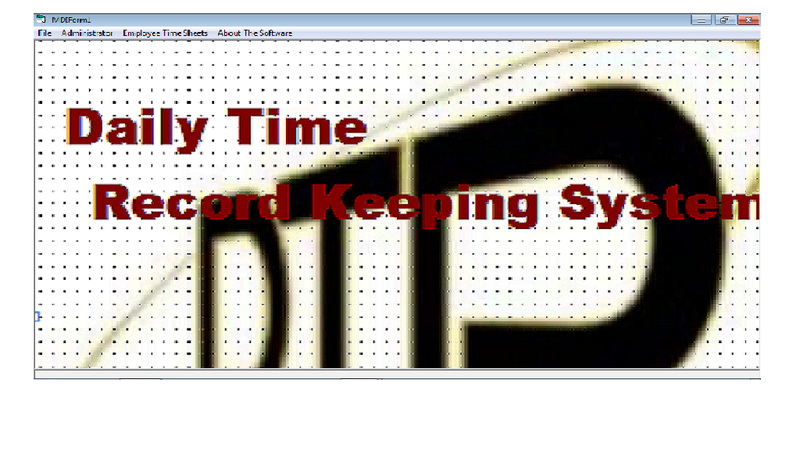 time1,time2,time3,time4...etc.. You can use the truncate function to separate the hours, for your calculation. How to check for tardiness of the lazy professors.. check if time1 is less than the beginning of the working hours. If time1 is greater than assigned beginning working hours, this faculty or staff is tardy. How to check if faculty fell asleep while on lunch break.. time2 + time3 . If the sum of the two is greater than the allowed break time, then the faculty or staff ,either overslept or played hooky while on break :), and students are waiting for them facing an empty blackboard. I'm completely self taught, I never studied any computer courses. Don't think its the end of the world if you don't get through the course. To me it seems such a waste of time when you could actually be given a project like that by a company who needs it and will make use of it rather than just being looked at then never used. "connect to mysql with php"
Pretty much everything you hit is answered online since php is so widespread, I failed trying to do the same approach on linux they are just incomprehensible. Being taught you can get a lot of advice from someone who's experienced it all where as I have to learn the hard way, if you really want to make use of the course ask him for help, he's a teacher it's what he's there for. just going in a week late with a barely done project he's just going to think you don't care. That way you can have employees with just a single scheduled login or 10+ if you really want it. The `login_of_day` column may not be needed, just depends how you want to write it you could select how many times that employee has logged in today and add 1 so you can order the login times easily. I recently had to restructure an expanding table that was over 250 fields and added on 3 columns every time the company did a new service. I got it down to 6 columns but around 50 times more rows, then a separate table where they can now add as many new services as they want and the app is all set to know exactly how to add it to the site. Its much better to single them out you can do so much more with it, any search on login times you'd have to search 3 fields or more if they decide they need 5 or 6 logins later on. Try and make each row in a table match a single particle eg. not 3 logins per row, 1 login per row and attach all required data to it eg. 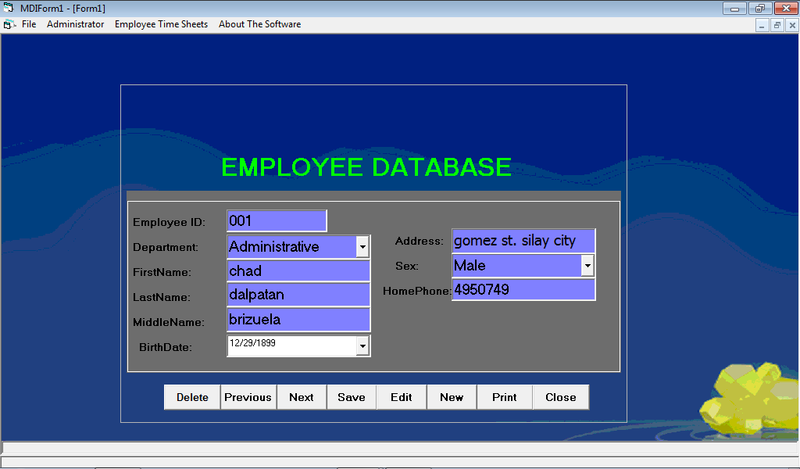 the employee id, department id (the employee could move departments later on). Total time per day would be the sum of the difference between the login and logout of all entries on that day. That would give you the time in seconds for each employee on that date. I even googleed mysql time functions to find out about TIME_TO_SEC() and TIMEDIFF(), i've never used them before. 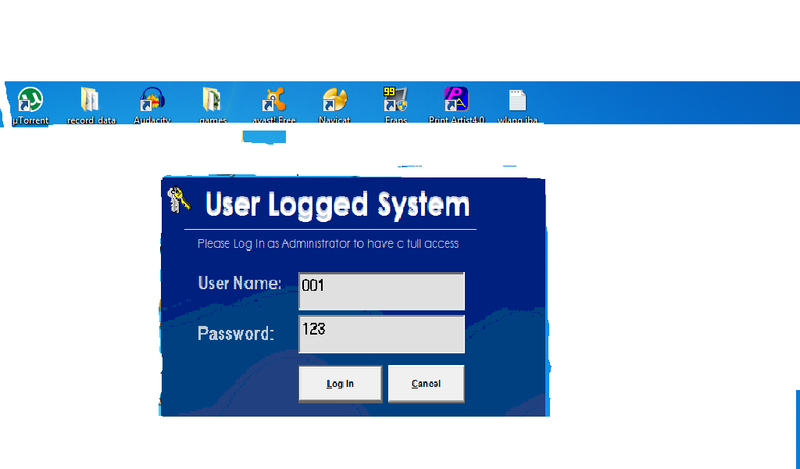 hi there we are making our Attendance Monitoring System of our school personnel and we want that if they will log in it will automaticaly record in database the log in and log out time and there is a calculation of time and there is a pop up message for them..we are using php mysql language,your help is highly appreciated sir,thank you and God bless.